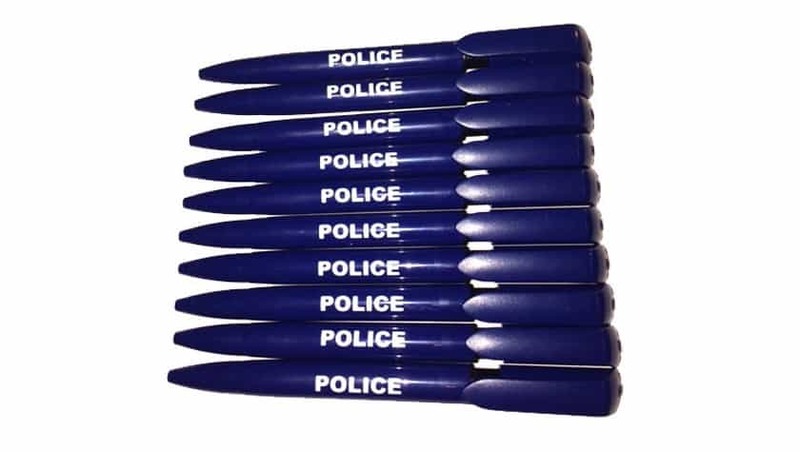 Get a pack of 10 Blue Police Pens, which write with black ink today. Suitable for any Police Officer, PCSO, Special Constable or Police Staff. Plus if your order now you get FREE Delivery! Get a pack of Blue Police Pens which write with black ink. Never be without a pen again!